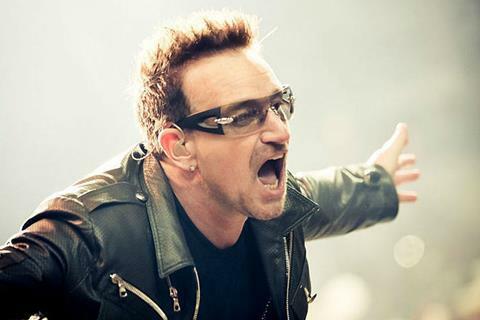 U2 SINGER BONO, WHOSE REAL NAME IS PAUL HEWSON. Los Angeles-based Spotlight Pictures has launched international sales on the modern fairytale Waiting For The Miracle To Comestarring Willie Nelson, with Bono and Wim Wenders on board as executive producer. Charlotte Rampling and Sophie Lowe also star in the story of a young girl who embarks on a journey of discovery who along the way encounters faith, love, and fulfilment. Joining Bono and Wenders on the executive producer roster are Dale Brown, Mark Rodgers and Tyler Zacharia. Lian Lunson, Gaston Pavlovich, Molly Mayeux and Terence Berry served as producers. Lunson wrote Waiting For The Miracle To Come for Nelson after working with him on a documentary. The shot on location at Nelson’s ranch in Texas where the latter’s 1986 western Red Headed Stranger also shot. The film features an original song by Bono and Nelson, Where The Shadow Falls, marking the first collaboration between the artists.